Light weight, smooth riding, all purpose tread. The STI ATX Trail provides dual-purpose performance. Lightweight 4-ply carcass specifically designed for on/off-road cart applications. 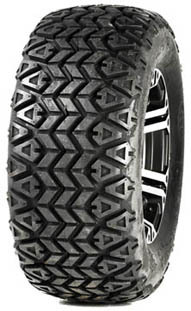 Wide-profile, smooth-riding tread pattern that delivers just enough traction on loose terrain.